Located alongside the Kosi river in the forests of Ramnagar, the Corbett Riverside luxury resort has been one of the pioneers since 1989. 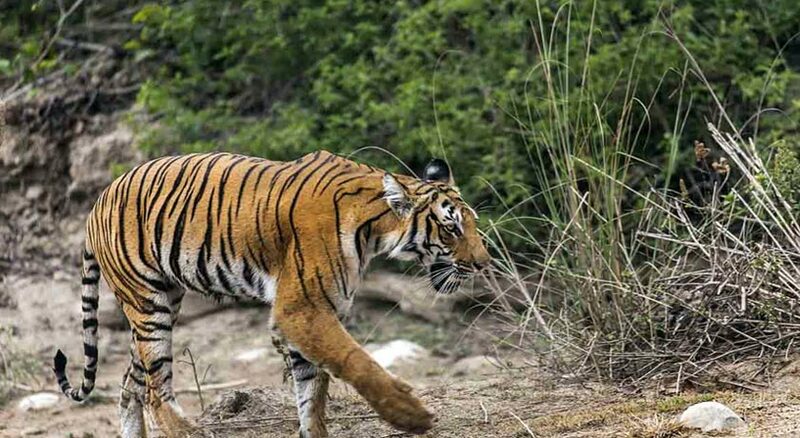 With its proximity to the reserve forest and national park, this resort gives a complete opportunity to enjoy and experience the natural habitat. 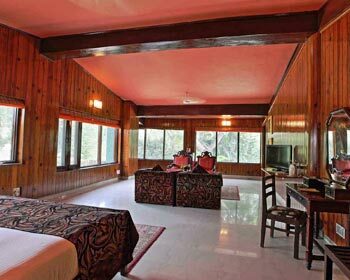 This resort extends up to 21 acres with 33 various types of rooms to choose from for a comfortable stay. This resort is a perfect spot for nature’s gateway to enjoy and have a perfect vacation with family. This resort provides all the modern day amenities ranging from free Wi-Fi, swimming pool for summers and bonfire during winters, tennis, volley ball, tug of war, nature walks to nearby Garjia temple. Paid amenities include elephant rides, rappelling, zumaring, flying fox, rock-climbing, bungee jumping. Exciting horse riding activities are also organized. This resort is a perfect destination spot for weekends by honeymooners, family holidays, meetings and wildlife lovers. On special occasions like Christmas and Thanksgiving and New Year on request, the chef prepares specialties like roasted turkey. 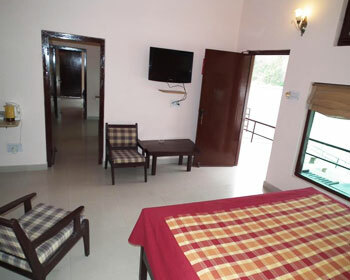 This spacious air-conditioned room with a common living room is located at the space of 200 yards from the Kosi river. This comfortably furnished room comes with a LED television, an electric fan, a double bed with two extra bed spaces, two single seat couches and a coffee table, private sit-outs for evenings, with an attached bathroom and a separate shower space. All the super deluxe rooms are located on the first floor with a beautiful wide view of the cliff with plenty of fresh air and daylight. 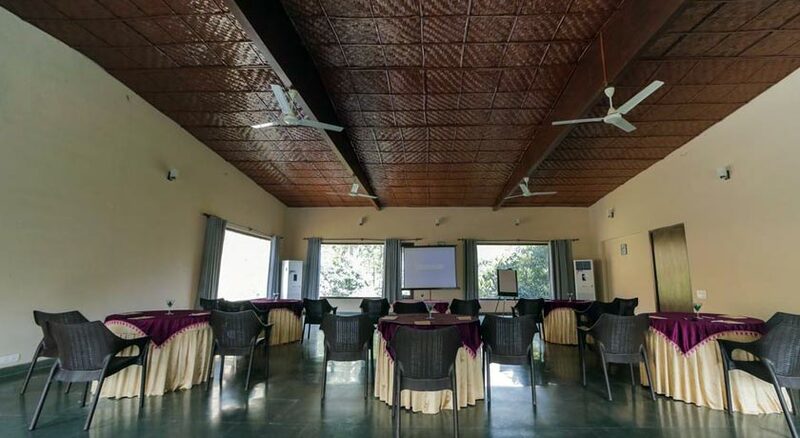 This completely air-conditioned airy room full of daylight, is located on the first floor at the space of 50 yards from the flowing Kosi river. This homely furnished room includes a cupboard and with a key lock to store valuable belongings, a double bed with spring mattress, two sitting chairs and a table, luggage table, a glass-window for the delightful river view, tea/coffee maker, LED television, private sit-out area to closely experience the river, a large double bed with a space of two extra beds and two bedside tables along with a attached bathroom and a separate shower area. 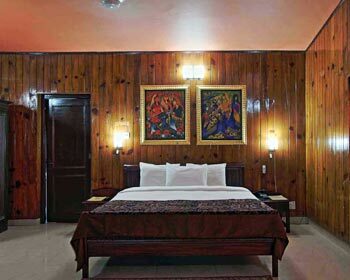 The deluxe rooms are located at a distance of 200 yards from the Kosi river. Furniture of this room is done in a old traditional style, with a TV, sitting space for two, double bed with extra space of a single bed, attached bathrooms and an enchanting view of cliff and the river. This room exclusively offers a private pool. 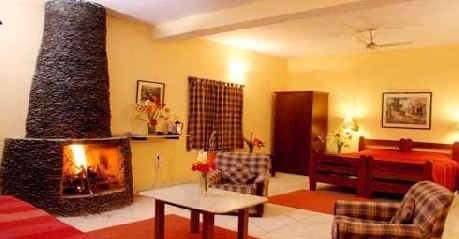 This super deluxe cottage consist of 4 breath taking suites, a common kitchen with dining with a colonial style sit-out, exclusive butler service, bonfire available only in winters. 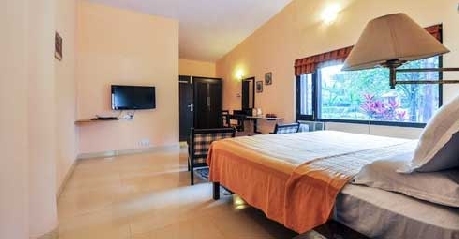 This completely air-conditioned room has a common living room, each room has an attached bathrooms with separate shower areas, a cupboard with lock and key, chairs, tables, and a large fixed glass window for the pool. This amazing suite is located at the distance of 150 yards from the river. 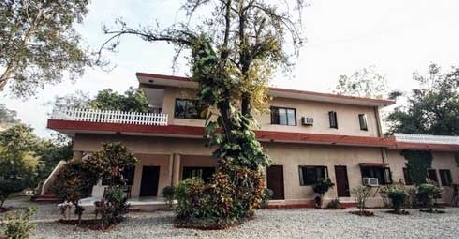 Corbett Riverside Resort has 24 deluxe suites and 10 deluxe double rooms. The suites are air-conditioned and have a separate sitting area and a fireplace. 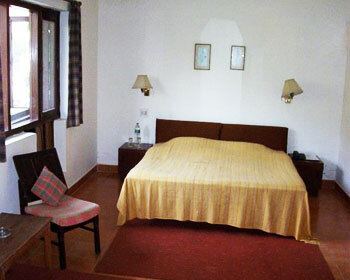 The deluxe rooms are spacious and have double beds and bathrooms with running hot water. 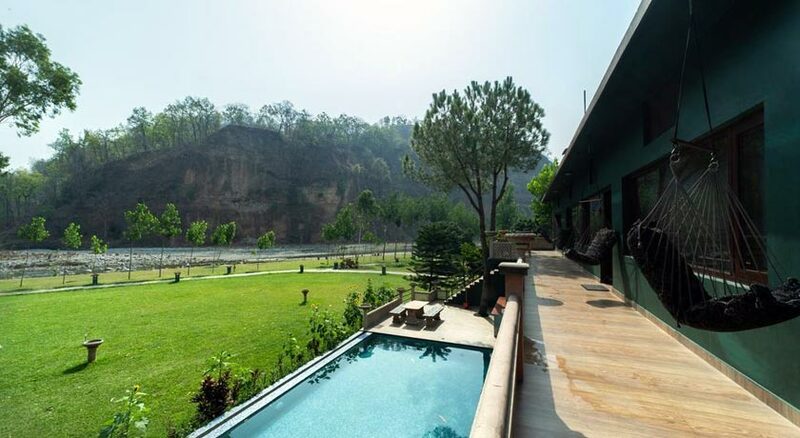 Most rooms have a view of either the hills or the Kosi River. The onsite restaurant serves Indian, Continent, Chinese cuisines cooked by expert chefs, in buffet style to the guests. Tandoori and Barbeque delicacies are also prepared on request. 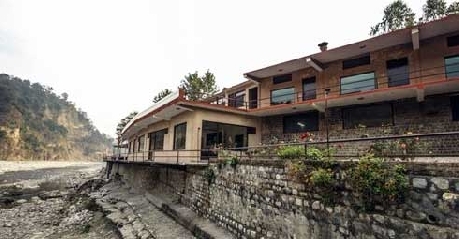 This in house dining place is located at 200 yards from the river for safety measures.